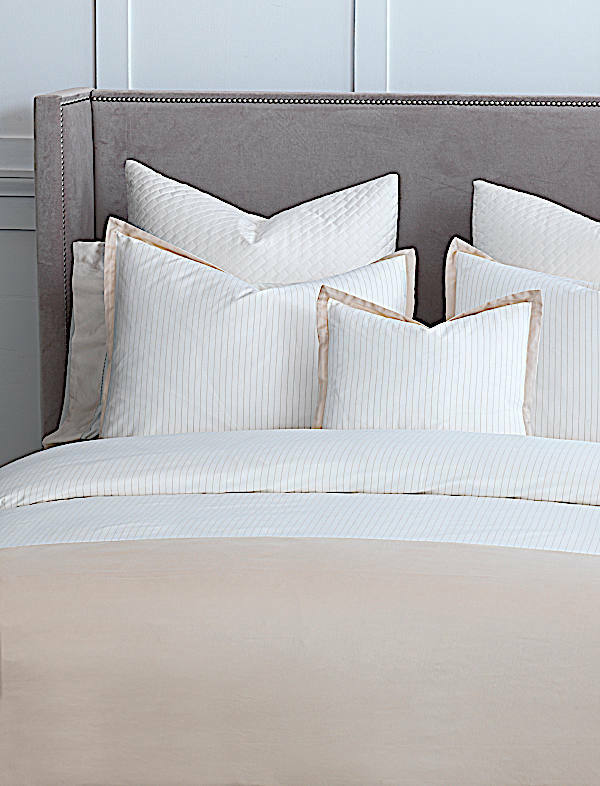 RB Casa Pompei Sateen Bedding - Swatches may be available. 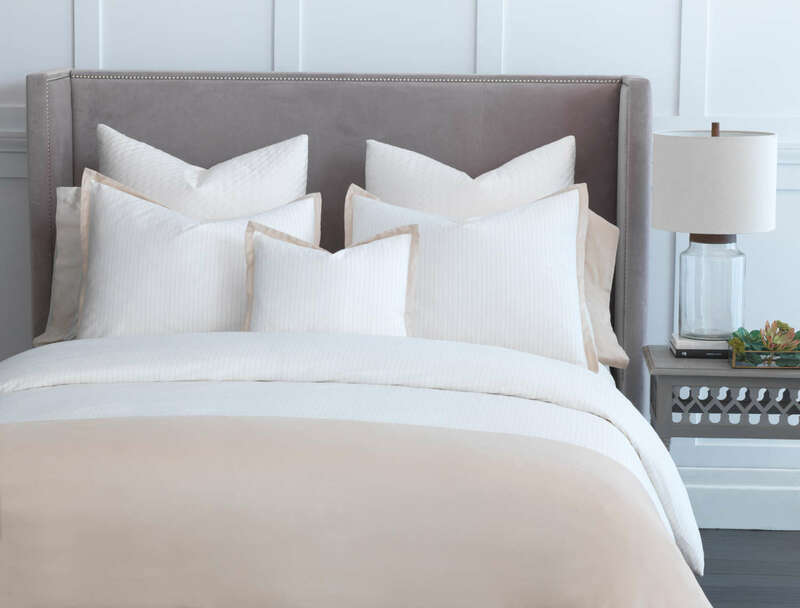 Neutral colored jacquard pin stripe Sateen 300 TC bedding will add a clean and refined look to any bedroom. Shams - Allover jacquard sateen finished with solid sateen border applied. 1" miniflange central inner flap opening on the back. 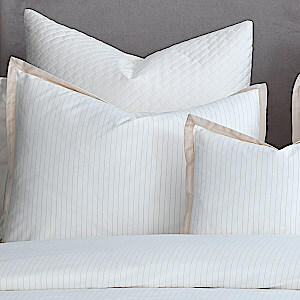 Pillow Cases - Solid sateen finished with 4" jacquard border applied on the opening and Inner Flap. Duvet Covers - Top Jacquard duvet cover reversed to solid sateen. Hidden buttons closure. Top Jacquard duvet cover reversed to solid sateen. Hidden buttons closure. Allover jacquard sateen finished with solid sateen border applied. 1" mini-flange central inner flap opening on the back. Center pleated. 3" decking border with linings. Split corners with kick pleated. 16" standard drop.